A series of books about a greyhound. Lacey Blue is the smallest dog at the track, but she has the biggest heart. If you love dog stories, romance, adventure, you'll want to read Lacey's stories as she fights against, slaughterhouses, cruelty, dog fighting, kill shelters, and puppy mills. Any dog loving hiker who lives in or plans to visit New Hampshire or Vermont would do well to consult this book by an Emmy award winning television producer and writer, Lisa Densmore. The author gives first hand accounts of each of the 52 trails that she writes about in this very informative guide to some of the best trails in New England. 11. For fit dogs only. The table includes all 52 trails/hikes that are covered in more detail later in the book. Along with information and tips specific to each trail, Ms. Densmore has also included lots of photos and maps. While hiking each trail she met fellow hikers with dogs and has included some of their photos as well. Along with the description of each hike by the author who hiked each trail with her loyal companion, Bravo, a Chesapeake Bay Retriever, there are sections with information on the subject of hiking with your dog including subheadings of Getting Ready, Should Your Dog Go Hiking?, Fit For the Trail, Dog-mas, Leave No Trace, Hiker Responsibility Code, Ten Canons of Trail Etiquette, and Good Dog Sense. The next section covers the essentials including, Gear, Canine First Aid, Wildlife Encounters, and Weather. At the end of the book, as well as an index, you'll find a list of resources and contacts. Even if you never plan on going on a hike on any of the trails mentioned in this book, it is an interesting and fun book to read. The descriptions of the trails and the pleasures of hiking with a canine companion are a good read. This was an easy to use guide that I found very helpful and I'm sure that if you plan on taking your dog along on your next hike, you'll want to consult this very well thought out guide first. Definitely a four star book. 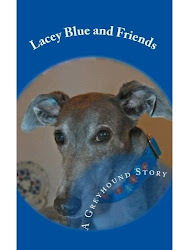 Wil is the author of the Lacey Blue Days greyhound series at Lacey Blue A Greyhound Story. A fun and inspiring dog story with romance, adventure, and surprises. Now that he got interviewed I spose there'll be no living with him for a month. We'll probably have to have the door widened just to get his head through it. Well there's always something. In his first book, newspaper columnist W. Bruce Cameron tells the story of reincarnation as seen and experienced through the eyes of a dog. What makes this book so poignant is that the author really seems to understand how a dog would speak and feel. Sooner or later, anyone who has ever owned a dog has looked into those big brown eyes and wondered what he or she was thinking. Many of us have also wondered about the meaning of life. What is its purpose? If a human life has a goal, then does a dog's life have a purpose? Dogs serve many functions in the lives of their humans from companion, security guard, baby sitter, to guide and herder. This is the species that is referred to as man's best friend and also, when someone is working very hard, they are said to be working like a dog. So in our lives they serve many purposes. Perhaps the biggest question in life is, why are we here? Animal lovers may also ask, why are dogs here? According to author Cameron, it is reincarnation. The main character in this book starts out as Toby a hard luck dog that winds up being rescued by an unlicensed rescuer, but that ends badly. Our hero returns in his next incarnation in a puppy mill and suffers again, this time at the hands of a thoughtless owner. Through each incarnation the main character suffers and grows through the experience just as those who believe in the many lives philosophy think each human grows from multiple lives. For a dog lover, it may be a little difficult to get through some of the sadder parts of the book and rest assured there are quite a few of them. You will want to have a good hankie or two at hand. But in the end, the answer and meaning of all that suffering and pain is revealed. There are two cautions that should go along with this review, the first is that if you are deeply affected by the suffering of animals, this book may have a profound effect. Secondly, if your religious or spiritual beliefs find the idea of reincarnation as offensive or disturbing, you may also have a problem with this book. There are quite a few books that try to tell a story from a dog's point of view. W. Bruce Cameron got it right with his first book. 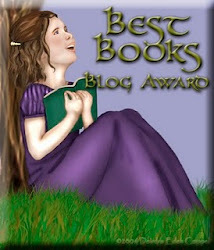 This reader is sure that people who love a good dog story and animal fiction will want to see more from this author. A good four star book. Wil, writing as Bill Hart, is the author of the Lacey Blue Days greyhound series at Lacey Blue A Greyhound Story. A fun and inspiring dog story with romance, adventure, and surprises. What's Wrong With Strong Women Characters? Throughout history, strong women have posed a problem for men and sometimes even for themselves. I can imagine there were a lot of people in high places that would have preferred that Betty Ford would keep her problem hidden from the world, but she didn't and her courage, as a leader, changed many lives for the better. As a writer, strong female characters have caused some problems for me as well. It isn't that I'm afraid of them or don't know how to write about them. The problem is that I like to write about them so much, sometimes they take over my stories, like "Lacey Blue and Friends, A Greyhound Story." As a fiction writer I’m often asked, Where do you get your characters from? The answer is, they just show up. The story started out as a book about a courageous little greyhound dog, but suddenly her mother became a strong and wise female and then there was a teen aged girl who was dealing with a disability, a rocky romance, and loss. Next there was her sister, the veterinarian, who was strong and spoke out for what was right, even though it would hurt her career. The next thing I knew another woman who lived alone in the desert and rehabilitated animals took on a very bad man and tried to stop a dog fighting ring. You get the idea? Each of these women have flaws and are vulnerable in some way, but when you think about the best and most memorable characters in fiction, aren't many of them dealing with a personal problem? Betty Ford was a real live woman who was a lot like the characters in my head who become the characters in my books. I guess my respect and fascination with strong women started with my choice in mothers. My mother was a strong though seriously flawed human being. I make no excuses or even try to explain about my Mom, she was who she was and I was fortunate to have her in my life because she taught me a lot of things. One of the most important lessons I learned from my mother, by her example, was that even strong willed and courageous people have serious problems or weaknesses, flaws. Betty Ford had an addiction, but despite her elevated social position in life, she admitted it to the world and showed us how a truly great woman handles a problem. I have to admit that somehow, a lot of the things I write are written for the people in my life. I have a beautiful, bright, daughter who has already been described by some people as a force of nature. She has a strong personality, like her grandmother and some other women in the family. When I write, in a way, I show these characters to her and say, See, women can be strong and they can also admit their faults and weaknesses. Don't get sucked into the lie that the world tries to sell you that women can't be human and they have to be a combination of June Cleaver and a Greek goddess on a pedestal. When I write about animals I think about all the animals I've been blessed to know in my life and their unique personalities and quirks. Some were strong and others were fragile, but they all had weaknesses and strengths. My animals have personalities, they aren't just props. Consequently, some of them, though seriously flawed, are also brave and courageous. We can learn from animals just like we learn from people. If you've known a strong woman in your life, you may read one of my stories and see some similarities between my characters and that person. I like to think my books can be read by a whole family and each person will get something from them, other than just a good story. Strong women who face their demons make great characters. I've been lucky enough to know some personally and as a nation, we were lucky to have Betty Ford. mentoring, hands-on projects, and business development tutoring. pass on what they know. business (dog training, dog walking, dog daycare, etc. ).